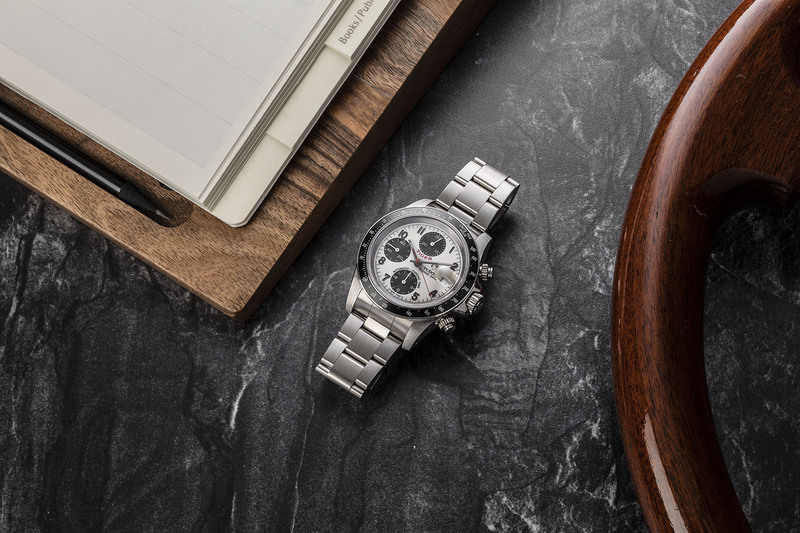 A rare opportunity to acquire a virtually unworn Tudor chronograph. This set is very full, featuring box and papers. The watch even has the caseback sticker still in place. 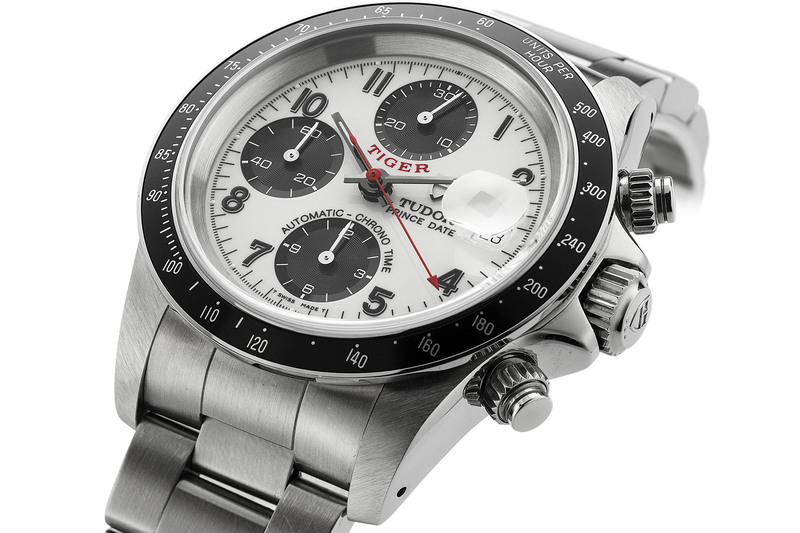 The white dial has black sub dials, with black printed Arabic numerals and red text 'TIGER' below the top register. This red accent is picked up by the red central seconds chronograph hand. This Tudor Prince is in stunning, New Old Stock (NOS) condition. The case and dial both remain in beautiful, original condition. The steel bracelet is in good condition with no stretch. Condition: This Tudor Prince is in stunning, New Old Stock (NOS) condition. The case and dial both remain in beautiful, original condition. The steel bracelet is in good condition with no stretch. Before Tiger Woods was a Rolex Testimonee, he was a Tudor Ambassador. 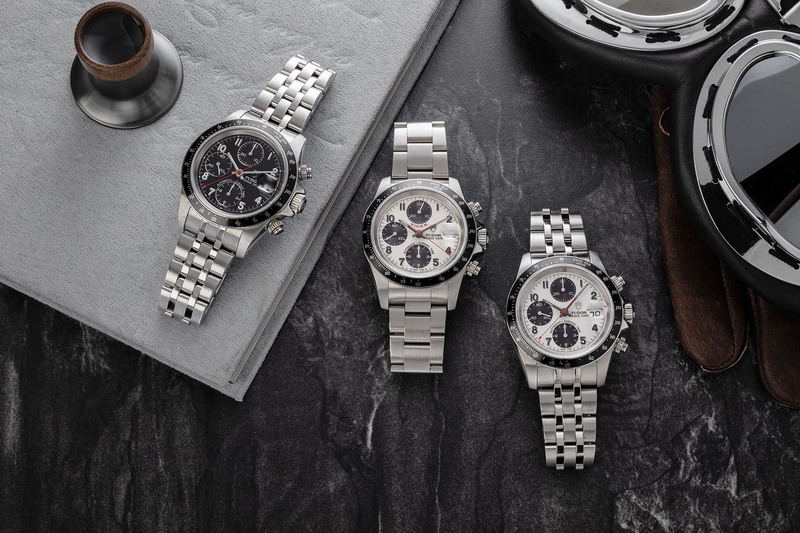 Keen to make as much of this relationship as possible, Tudor placed Tiger's name on some of their sports watches including the Prince Chronograph and the dive watches.